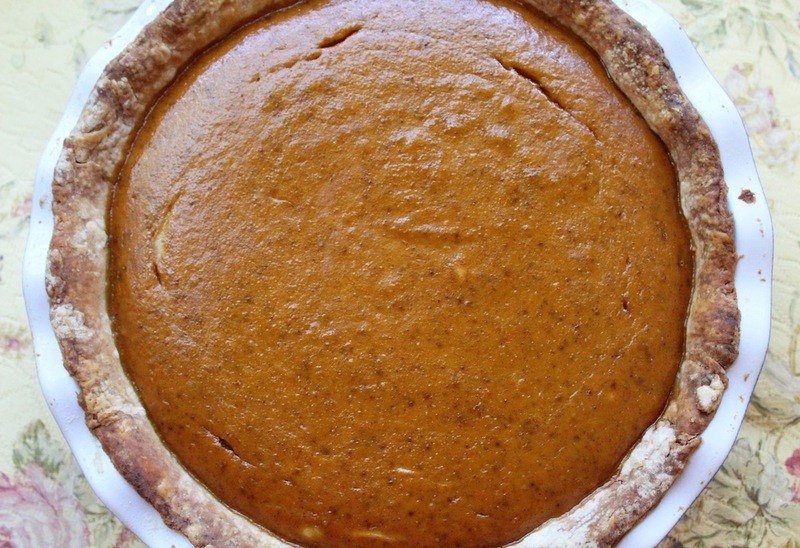 My pumpkin pie is ready! There are three things I always do the day before Thanksgiving. One lesson I’ve learned over the years is: Do everything you possibly can in advance. So I already made my pumpkin pie, fresh cranberries, and I’ve made a pot of turkey stock. Here’s how… I roasted some turkey wings for an hour at 375 and then scraped up all the drippings. I put the wings, drippings, water, and the same vegetables and spices I use in my chicken stock into a pot, and cooked it for 2 1/2 hours. I let it cool down and it’s now in the fridge. Tomorrow I’ll skim off the fat use it for my make-ahead gravy and in my stuffing. This year I’m trying a new way to roast turkey – at 500 degrees! It will be an adventure. I hope it turns out but no matter, it’s good to take occasional risks. But there’s no risk with my amazing pumpkin pie. The crust is made without butter or shortening so if you want to try it, click here for the recipe. 4 Comments on "Getting Ready for Turkey Day"
Jenny how are you doing and Happy New Year……. my question is what the name/type/cost of your seemingly gas commercial stove, which is in the photo. I am planning on getting a commercial stove from the U.S.A. (maybe an energy saver) if thats possible because it would cost me less to bring in in to The Bahamas where I live. Thank you. I have a Viking dual fuel (gas top, electric oven) but I would not buy Viking again for their poor customer service. Happy New Year to you, Jenny! Just got your email so I’m checking out the great pictures of your recipes people have made. I tell ya, girl, you’re such a good cook, you would make a wonderful wife, but I have a feeling we’ve both been down that road before..ha. Keep up the great cooking/baking videos! We love ’em.